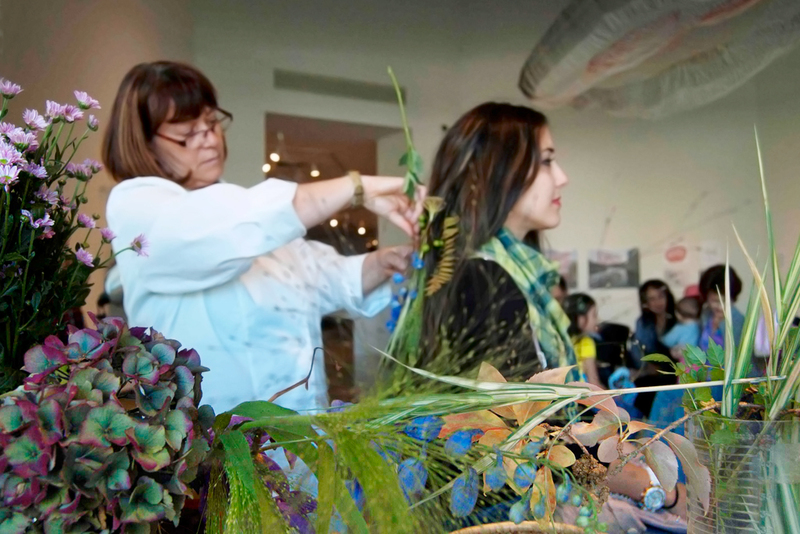 The Extra D’Extras MakeOvers consists of adorning shoppers with flowers and leaves as an alternative to the ubiquitous lab coat clad clerks who dispense beauty samples in department stores. 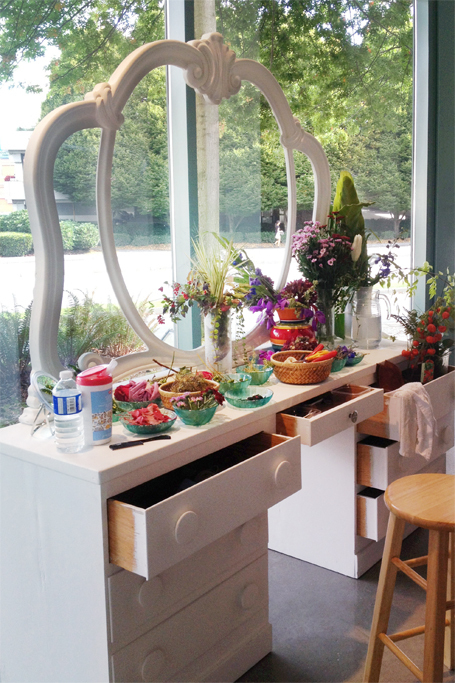 My MakeOver station is an old vanity desk strewn with an assorted palette of plant colours and textures. 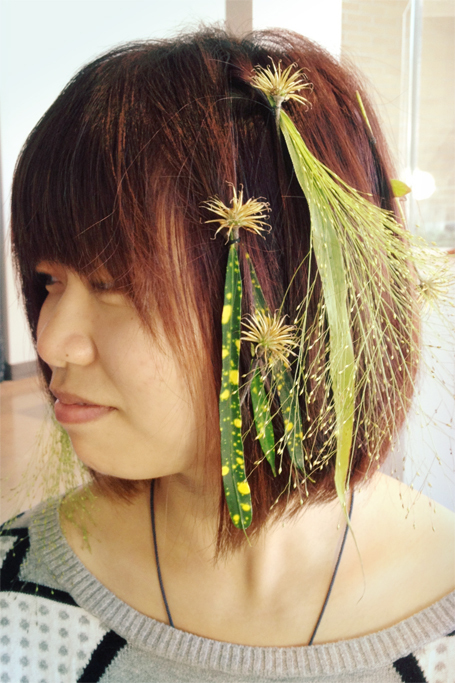 Working with plant material allowes me to pay tribute to the many cultures that practice the art of embellishment with botanicals. 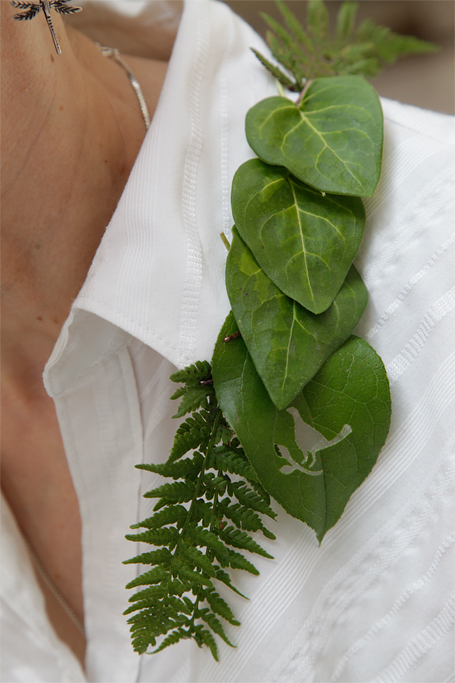 Adorning the body is a healthy and natural thing to do. No need for expensive cosmetics and jewelry. 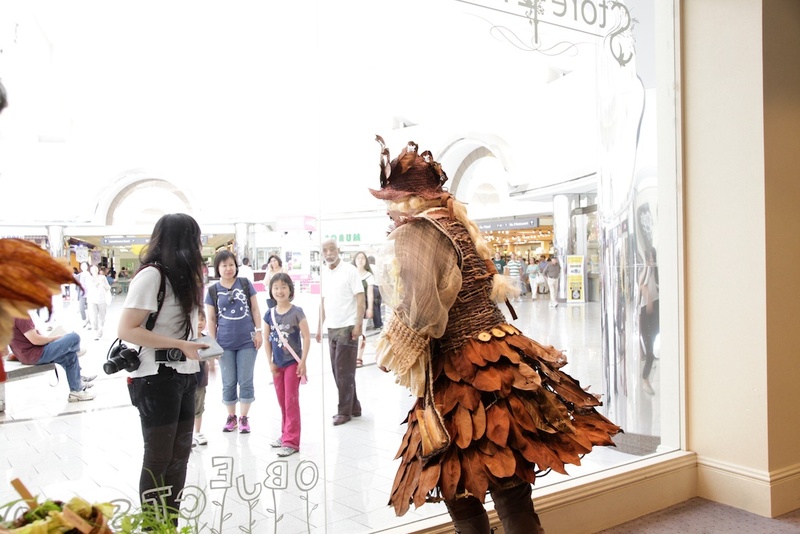 Sir William the Explorer is woken from his centuries old sleep to find himself on display in the StoreFront, objects of desire window at the Lansdowne Shopping Centre. His grass woven long coat is covered with Magnolia leaves and the braided trim is a Mongolian rope made from goat and horse hair. 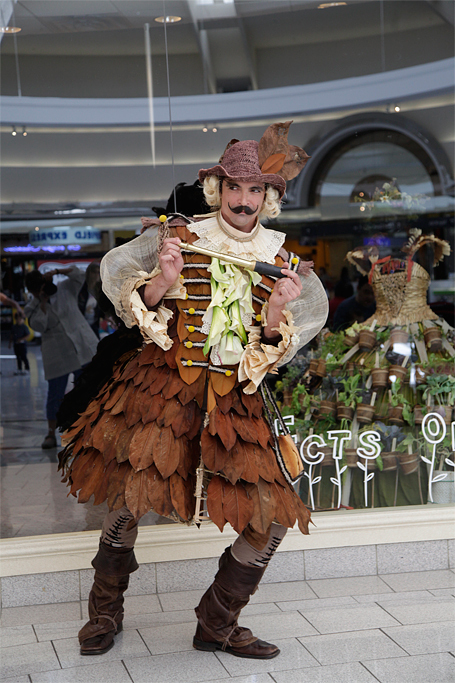 Sir William roams the mall looking for plunder in exchange for magic beans. 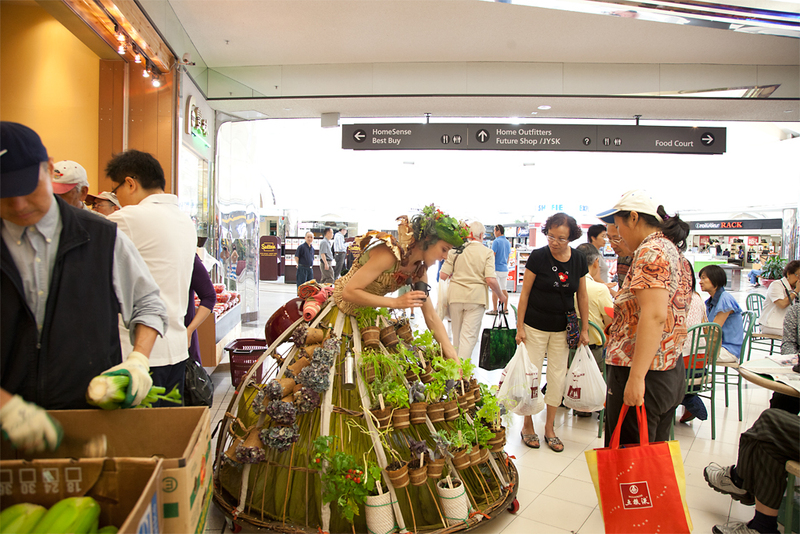 The Mobile Garden Dress interacts with shoppers to identify edible plants and talk about local food sourcing. 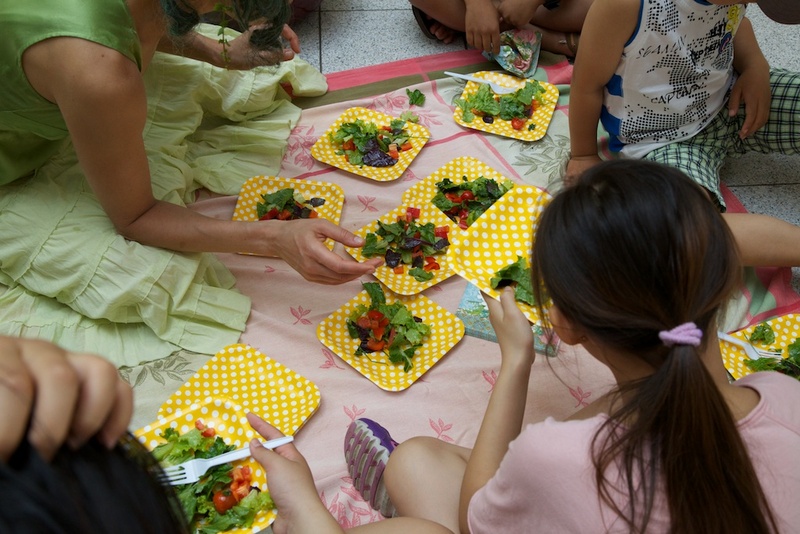 If the shopping centre is the new community church then sharing a homegrown salad is a great way to bring some genuine connection to the retail experience. StoreFront objects of desire, is an ongoing project, which has been presented in an art gallery and a shopping mall. 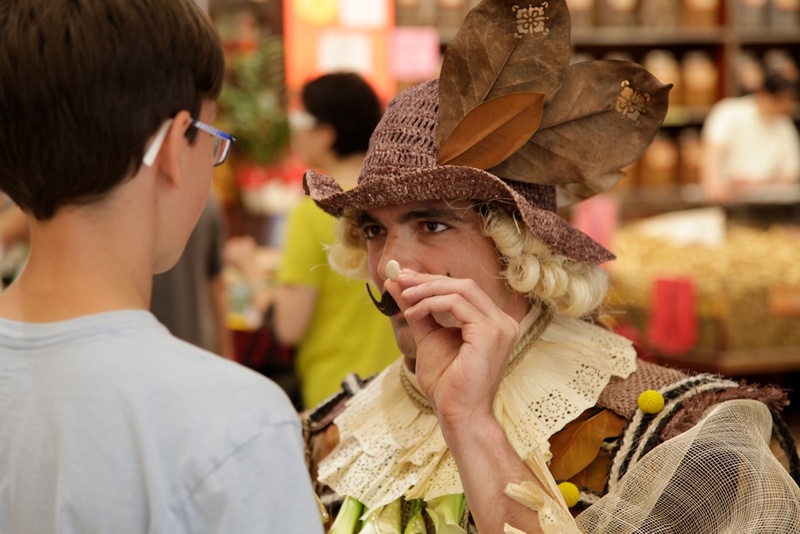 The trope of consumer culture is further enhanced with the addition of public interventions that mimic promotional tactics such as mascots and free samples. Click on links to see more about specific interventions such as The Extra D’Extras MakeOvers, Sir William the Explorer, and the Mobile Garden in the Mall. View Video.